NOTE: Threaded spears are slightly shorter than standard spears to accommodate the added length of the screw on tip or slip tip. 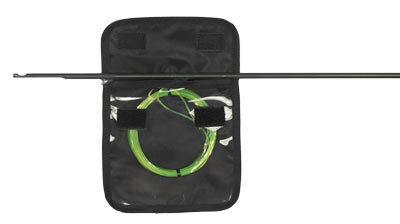 The Speargun Shooting Line Keeper is what the pro's use to keep their shooting line from becoming tangled. Spear was shipped fast and is high quality replacement as expected. Thanks for including mono upon request.